In the 1970s and 80s Bled and the Postojna caves in Slovenia, the leather market in the border town of Tarvisio, the gondolas of Venice and the woodcarvers’ village of Gröden in the South Tyrol were the most popular destinations for excursions from the Glocknerhof. Air-conditioned coaches ran round the clock to transport the interested public to the most attractive destinations in the southern Alps. Not much has changed: today too the Glocknerhof’s central location is highly appreciated for excursions by coach groups, drivers of convertibles and sports cars, and motorcyclists. Since the late 1990s the Glocknerhof has organised rallies with a full supporting programme. Every year lovers of sleek sports cars and convertibles meet up; see our Cars Events in spring with the Mercedes cabriolet meeting and the Sports Car Meeting. Lovers of BMWs, Harley Davidsons, Jaguars and Ferraris have also met up at the Glocknerhof for excursions and tours together. Why not check the room availability and book online now! If you would like to book several rooms, please send us a non-binding enquiry. More information on group holidays. The Glocknerhof also offers fans of two-wheelers good reasons to stop and stay for the night. 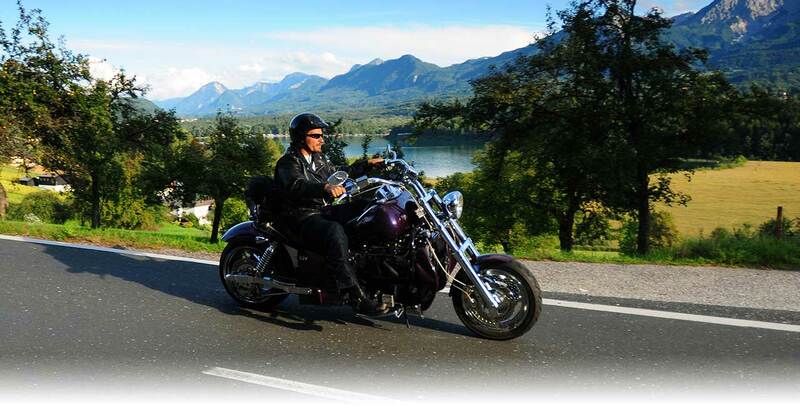 Bikers can take advantage of the ideal location for day tours to Alpine passes in Austria, South Tyrol and Slovenia, a fabulous panoramic view and plenty of space and security for their motorbikes. We have laundry facilities and a drying room for bikers’ clothing. Our Hotel is effectively situated at a hub in the routes for bikers. One of the best-known circular tours runs through the Drau Valley, seasoning it with a detour to the East Tyrol. The result is a mix of sharp bends and enjoyable inclines, nature, culture and sightseeing. You can circle the powerful massif of the Kreuzeck group and swing through the Upper Drau Valley with its wonderful undeveloped landscapes and picturesque villages. 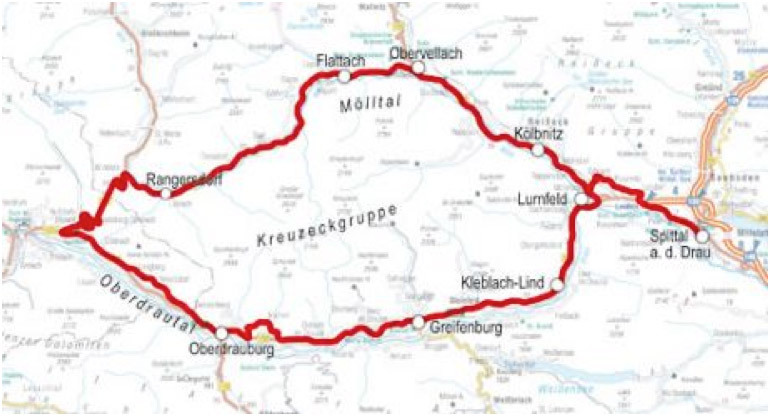 Tour length: 120 km; can be extended to include Lienz, the Großglockner and the Kölnbrein Dam. The “Gail Valley Eight” tour leads southwards through the Gail Valley limestone alps, the Lesach Valley and the Puster Valley, and the Lienzer Dolomites in the border region between Carinthia, East Tyrol and Italy. It is a pleasure for all the senses: countless bends, including hairpin bends in the Lesach Valley, and adventures far away from the hustle and bustle and through pretty villages make this route a one-off. Take the time to have a good long look at this stretch with its beautiful scenery. It will be worth it. Tour length: 201 km; can be extended via the passes to Italy. We would be pleased to recommend other full-day and half-day tours to Alpine passes, lakes, side valleys and well-known places in Carinthia (Großglockner High Alpine Road, Malta Valley High Alpine Road with the Kölnbrein Dam, Nockalm Road, circular tour of the Carinthian lakes, Lesach Valley), to East Tyrol (Villgraten Valley, Defereggen Valley, Staller Sattel), to the Italian South Tyrol (Antholzer Valley, Cortina d'Ampezzo, Sexten, Sappada, Sauris di Sotto, Kanal Valley, Tolmezzo, Udine, Tarvisio) and to Slovenia (Kranjska Gora, Soca Valley, Bled).